iWebSrv significantly reduces application implementation time and expense and facilitates ease of implementation worldwide using the latest and most effective Web services and IBM i software, tools and products. You can find below the specific features and capabilities of the iWebSrv solution. Every effort has been made to keep iWebSev as thin and resource lite as possible – yet powerful, robust and feature rich. Because of iWebSrv’s thin architecture, it is extremely fast and enables quick response times. The Apache server is one of the most popular and widely used web servers. Apache is an open-source HTTP server that implements current HTTP standards with a focus on being secure, highly configurable, and easily extensible. 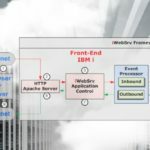 The IBM i is considered one of the most reliable and versatile servers on the market today and coupled with the widely accepted Apache web server — and iWebServ — an unbeatable team! iWebSrv is extremely easy to install; just follow the instructions, configure it and you’re up and running. Configuring the environment and web service APIs is quick and easy — and as simple as filling out a form. Retrieving the HTTP request from iWebSrv for customer inquiry, processing the request using SQL for dynamic queries and outputting the HTTP return/response back to iWebSrv … this is just one of iWebSrv’s available sample programs and templates. 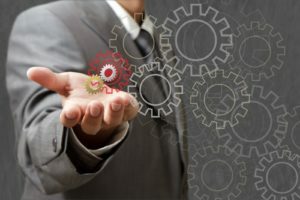 If you’re an IBM i programmer with little or no experience with the web (where’ve you been? ), then iWebSrv can help you create web services in no time at all — just use our sample program template, it couldn’t be easier. The purpose of iWebSrv is to help you modernize your legacy applications and leverage your business logic as well as give you the tools to develop new and exciting web and SOA applications. Audit logs and output are user controlled at various levels to easily monitor what is happening throughout the process and help in problem determination. From using pointers to retrieve data from user spaces, to changing the job environment on the fly, iWebSrv has it all and makes it available to you, the IBM i programmer. From the IFS, user spaces, spool file processing and emails with attachments – to database triggers and web functions – we have utilities and tools that can help you with your modernization and optimization efforts.